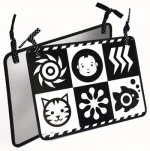 A set of striking black and white graphics to use around the home. 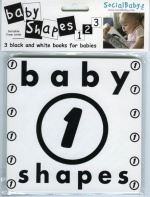 Using a selection of our BabyShapes images these easy-wipe laminated sheets can be propped up or stuck to a wall. 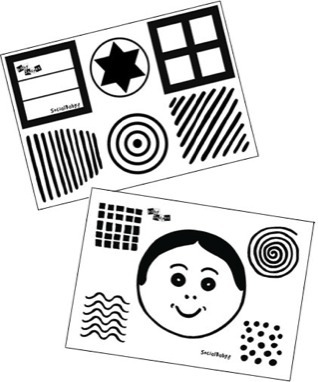 Also included are stickers to use as you wish. 2 x A4 laminates, with graphics on either side, shown above. My little loves his books & stickers already! Really pleased with the service I received and great value for money.